Warhol loves Lucy! This I Love Lucy Warhol Art 16 oz. 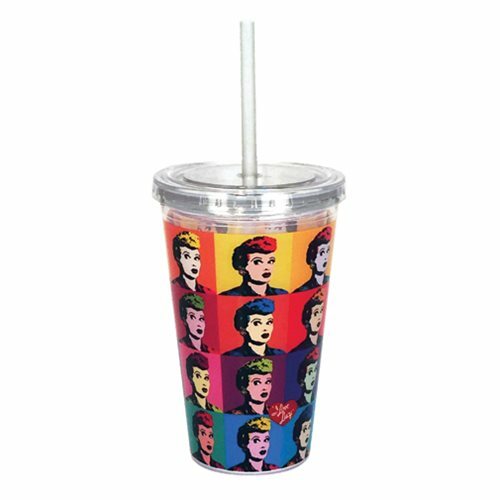 Travel Cup with Straw features a Andy Warhol style photo grid of Lucy. Hand wash only. Not dishwasher safe. Do not microwave. Cup measures approximately 9 1/4-inches tall. Ages 13 and up.